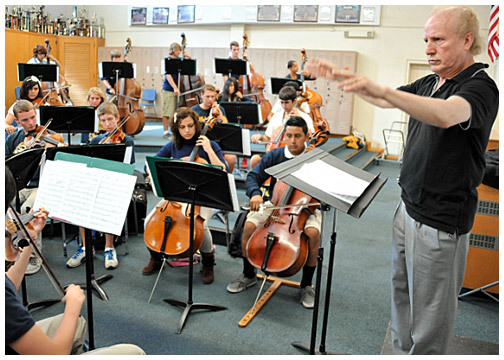 Nationally renowned Long Beach Symphony Orchestra Music Director Enrique Arturo Diemecke conducted a recent rehearsal of the Millikan High School Chamber Orchestra. The Long Beach Unified School District's comprehensive music curriculum is enhanced by many educational partnerships with the Long Beach Symphony, which reaches more than 25,000 students. MAESTRO – Long Beach Symphony Orchestra Music Director Enrique Arturo Diemecke at Millikan High School.